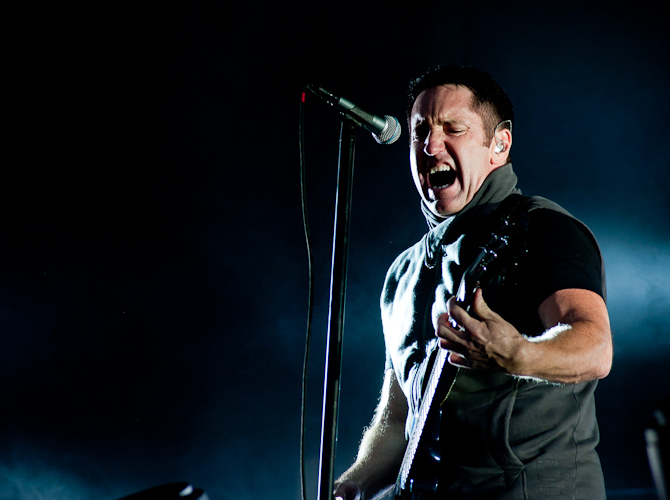 Nine Inch Nails' frontman Trent Reznor has suggested that the band may be touring with a different line-up in 2014. 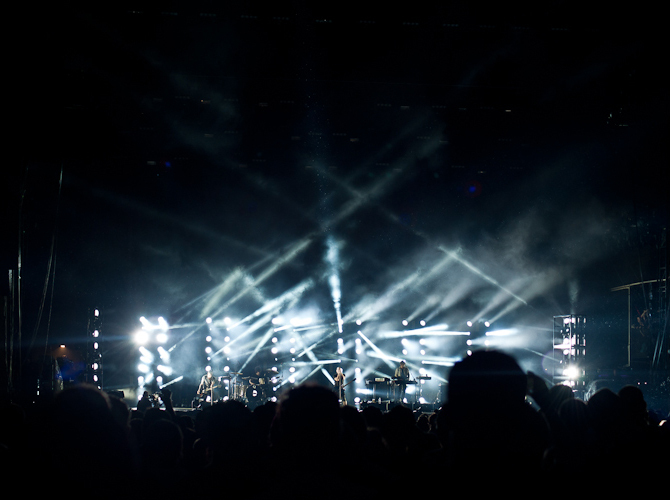 The band also unveiled a full 80 minute concert video - check it out below. 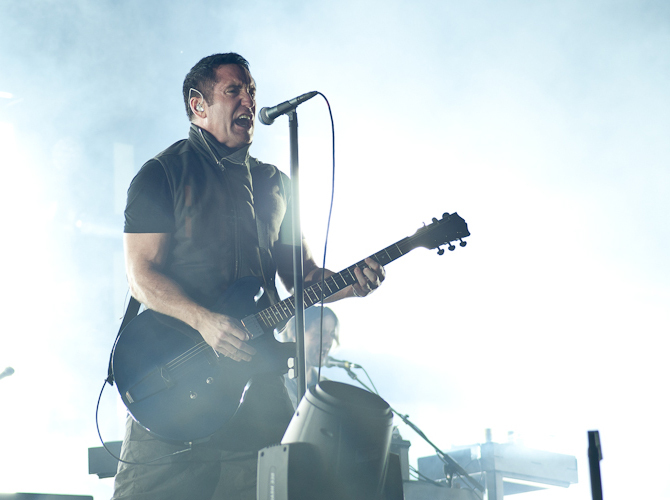 Enjoying a typically dry fan Q&A on Reddit, Reznor said that the 'Tension' era of the Hesitation Marks tour was done, and that when we next see the band, NIN will have have a different set list, stage show and musician lineup. 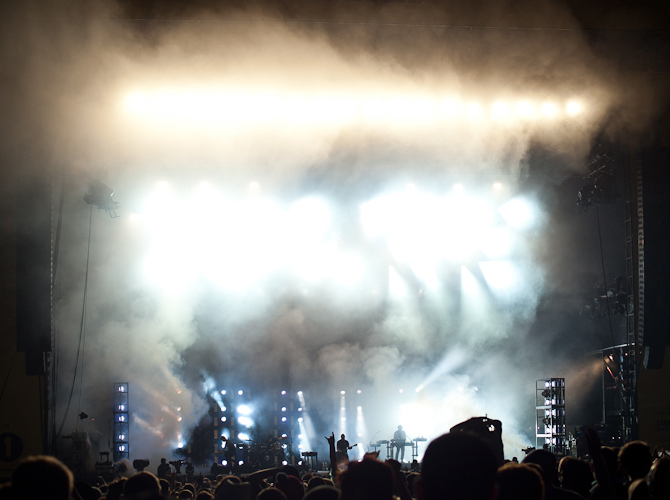 "Here are some thoughts on touring: When we commit to a touring cycle, it usually is at least a year long, and can start to feel stale after X amount of time. What I'm doing this cycle is making each leg of the tour have its own identity. The festival run we did over the summer was very different from the Tension tour we just finished. We're currently rehearsing with a new incarnation of the band for what's ahead. This keeps things fresh from a musician's perspective, but also keeps things interesting for fans in an era where every show ends up on YouTube. 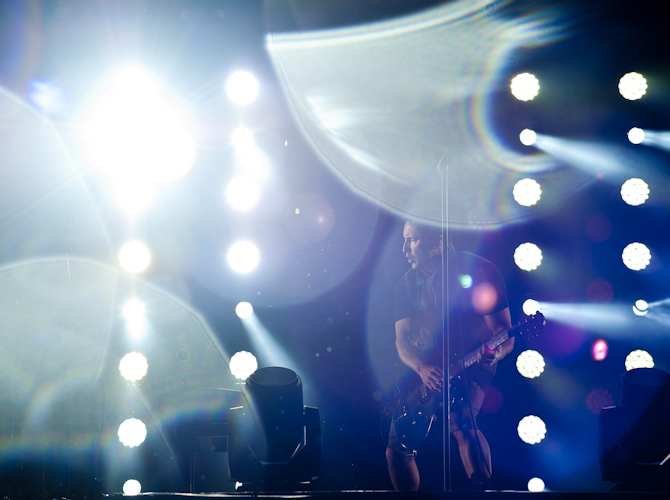 "The setlist and presentation moving forward will be very different from what we just did. That's part of the incentive behind releasing the Tension footage now. 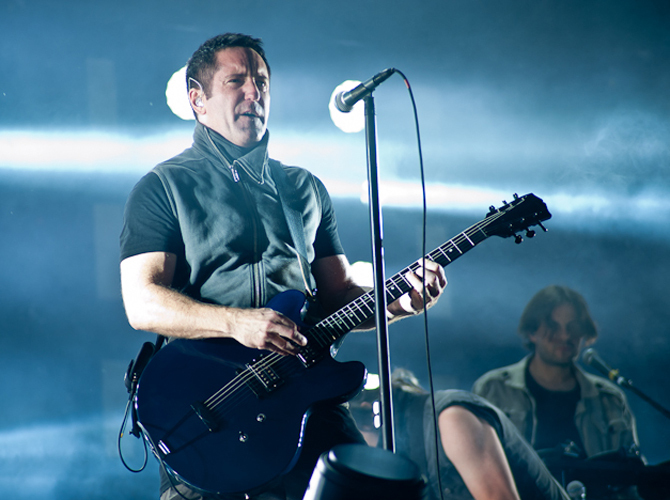 That was one very specific look at Nine Inch Nails in the Fall of 2013, that I wanted the whole world to be able to see (just like you can see the festival footage on YouTube, which was its own thing). 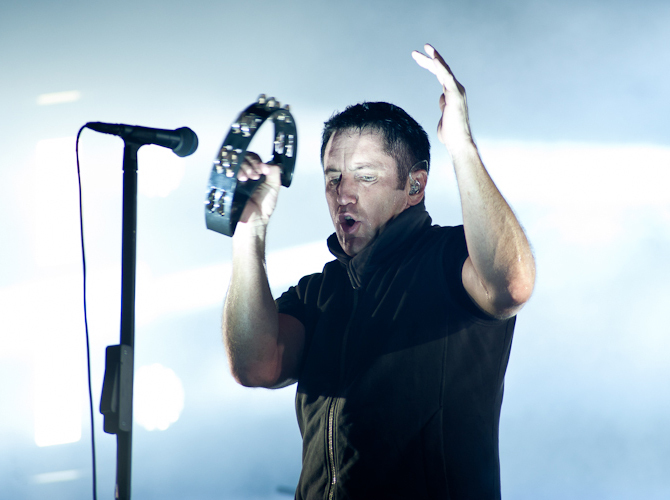 Yes, we are planning to return to North America in 2014..."
Reznor also stated that a reissue of classic NIN album The Fragile could be possible in the year ahead. 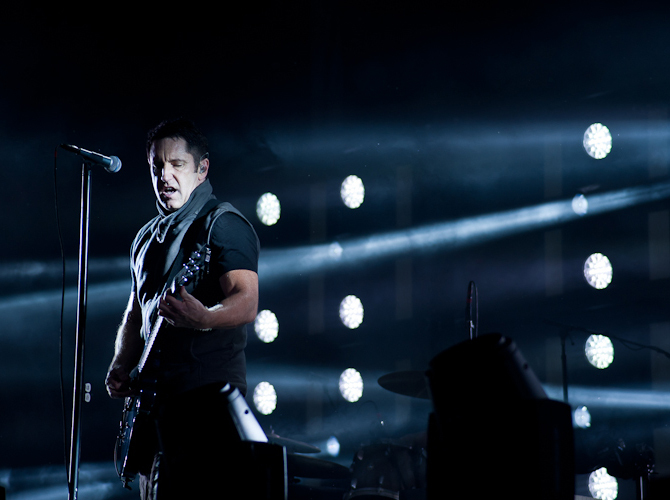 In other NIN news, the band also unveiled a video of their full and epic 90 minute show at Los Angeles' Staples Center as part of the group's Tension tour. Watch it below. It is awesome. Tickets are on sale now. 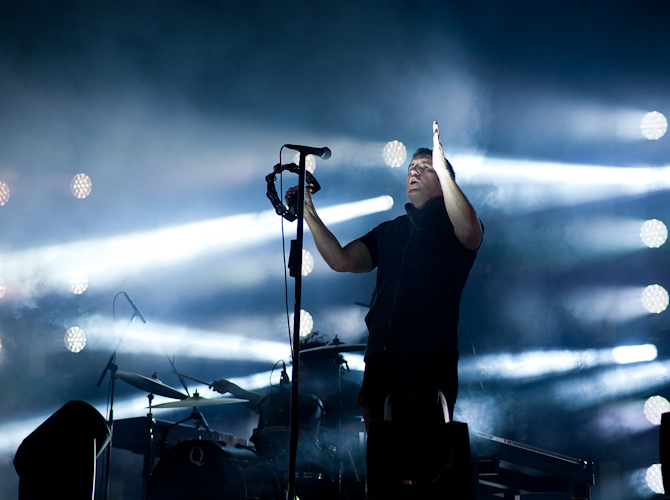 For more information visit Gigwise gig tickets.